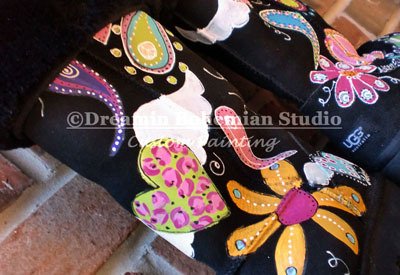 Dreamin Bohemian Studio is now offering Hand Painted Boots such as Uggs and gogo boots. 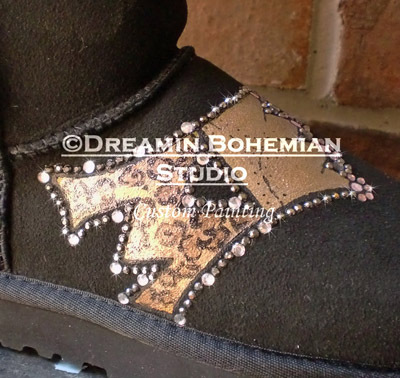 Customize your boots on a whole new level. 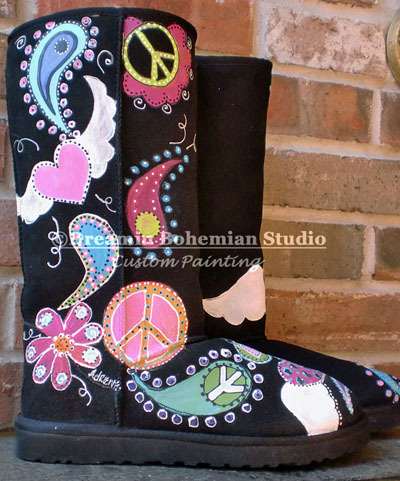 I can paint the boots with absolutely anything on them that you would like. 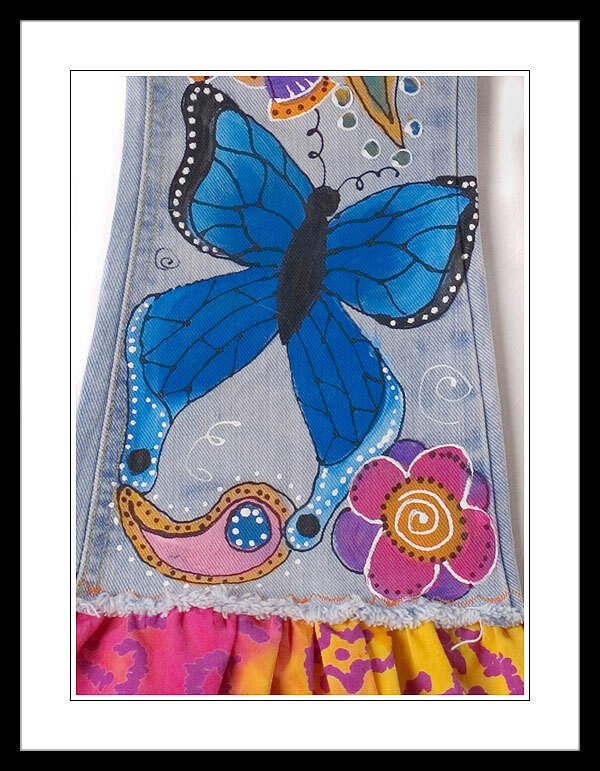 Animals, paisley, hearts, free spirited design, school mascots, flowers, nature, pirates, peace signs, hippy, gypsy, characters, portraits, only limited by your imagination. 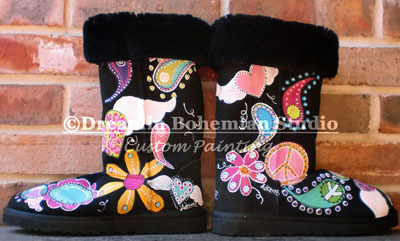 I started painting UGGS this year and WOW they are fun fun fun to paint! 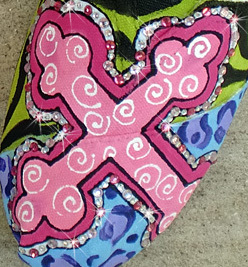 This design is my signature paisley, floral, and peace signs design that I call Free Spirit. 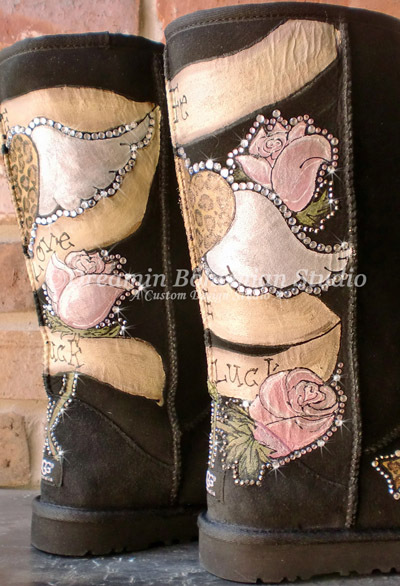 This particular pair was painted for a client, but I can custom paint something very similar just for you. 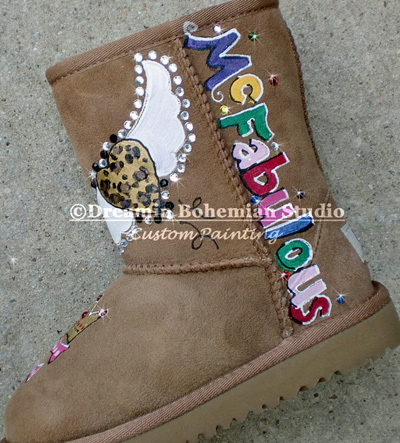 You also can tell me what colors you would like or do not like on them. Are these for A Child’s Size? 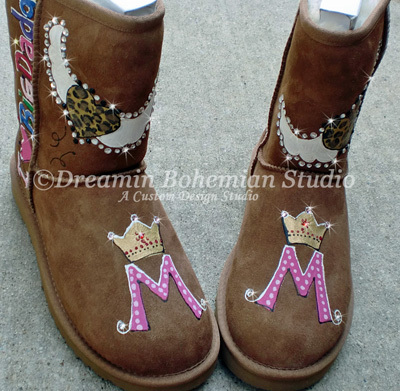 This listing included a name down the side of the boot with the heart with wings painted on them and the initial with the crown on the top of the foot. Crystals are added to these as well. You can customize this to match your personality. 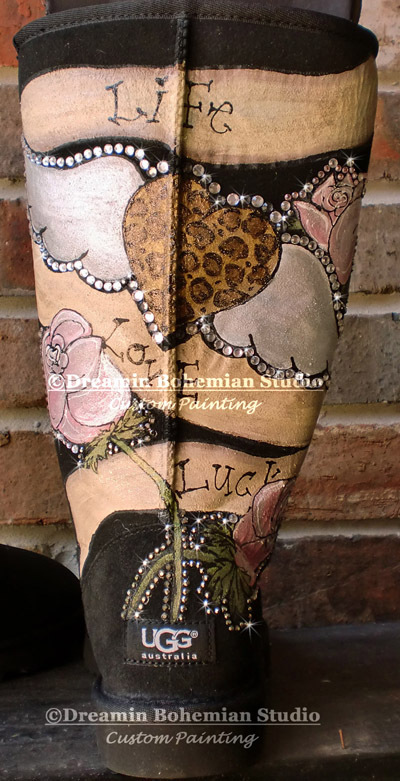 This particular pair was painted for a client, but I can paint something very similar just for you. The price on these is determined by it being an adult size boot. If you would like something smaller for your daughter or little one, I can do that too, and will adjust the price accordingly. 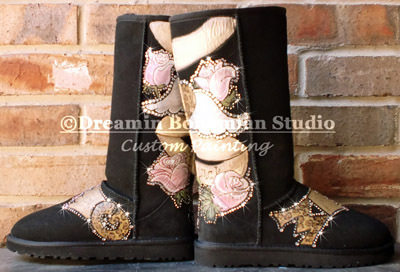 This listing is for the DESIGN only, boot not included, you will need to order the boots and have the boots sent to me.